A new official firmware is now available for Samsung Galaxy S4 Mini LTE GT-I9195 which is XXUAMG8 Android 4.2.2 Jelly Bean Official Firmware. Samsung has released this device recently and is packed with a 4.3-Inch qHD Super AMOLED Touchscreen display, 960×540 pixels of screen resolution, 1.7GHz Dual-Core Qualcomm Snapdragon 400 Processor, Adreno 305 GPU, 1.5GB RAM, 8MP rear camera and 1.9MP front facing camera, 8GB Internal memory, expandable upto 64GB through MicroSD card, comes with the Android 4.2.2 Jelly Bean out of the box. This device already received a number of firmware updates and here is latest one released in august, you can update your phone with latest firmware available XXUAMG8 Android 4.2.2 which is currently rolled out by Samsung in Several countries. List of countries with download link is available later part on this tutorial. To update your device with this latest firmware, you can either use the OTA update feature or use the KIES utility. But, if you are looking for a manual update guide, then you can go through our simple step by step tutorial to manually update your Galaxy S4 Mini LTE I9195 with the latest XXUAMG8 Android 4.2.2 Jelly Bean official firmware. Please note, this tutorial don’t require a custom recovery such as CWM recovery or a rooted Galaxy S4 Mini LTE I9195 because to install this firmware we will use ODIN utility. After installing official firmware XXUAMG8 Android 4.2.2 Jelly Bean you can always root your Galaxy S4 Mini LTE I9195 with the help of proper rooting method. 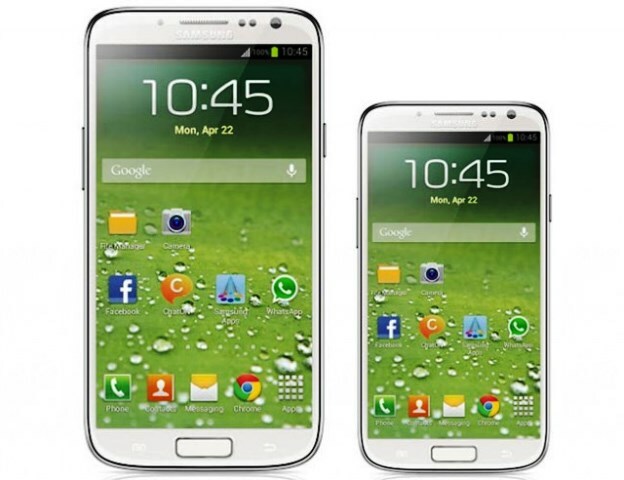 Download Android 4.2.2 Jelly Bean I9195XXUAMG8 Official Firmware for Galaxy S4 Mini LTE I9195 from the above list and Odin 3.07 in your computer. Extract Firmware zip file at a convenient location in your desktop; you should get a .tar.md5 file and some other files (optional). Now extract Odin zip file and you will get Odin3 v3.07.exe as well as few other files. Now turn off your phone and wait 5-6 seconds for vibration to confirm complete switch off. Then put your Galaxy S4 Mini LTE I9195 in Download Mode by pressing and holding Volume Down + Home + Power button together until you see a construction Android robot in phone screen. Press Volume Up button again to enter into Download Mode. Now run Odin3 v3.07.exe that you get in Step 3 as an Administrator because Admin privileges is required to complete this installation process smoothly. Now it’s time to connect your Galaxy S4 Mini LTE I9195 with your PC using USB cable. Do it and you will see a message under Odin’s message box in the bottom left saying “Added! !” If you don’t get it then you should try another USB port (try USB port located in back of your desktop PC cabinet). However, if this still can’t solve your issue then you should reinstall USB driver for your device. Nevertheless, if you successfully see the “Added! !” message in Odin then you are ready to go in next step. You should also see COM port with a number in Yellow if you successfully added your device. In Odin window, make sure Auto Reboot and F. Reset Time checkboxes are only two that are selected. Also, make sure that Re-Partition checkbox is selected, only when you added a .pit file (see Step 7.4) in ODIN. To make flashing safe for you double check everything that we mentioned in Step 7 and Step 8 above. Now, once you are ready, hit the START button to begin the flashing process. Once installation is done, your phone will reboot automatically and soon you will see a PASS message with green background in the left-most box at the very top of the Odin. You can then safely unplug the USB cable to disconnect your device from computer.